Batch Print PDF files with Auto Rotate! 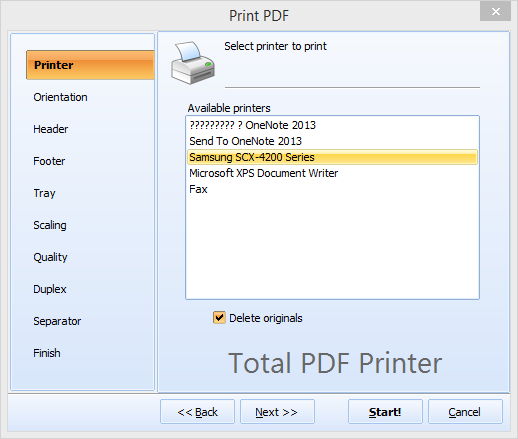 If you would like to print a few PDF files that have different page orientation, and want to do that quickly, without manual re-adjusting printers and page orientation, you should use Total PDF Printer. This printing manager knows how to print PDF quickly and safely, automatically adjusting various PDF documents to your selected format. If you are not sure which mode to choose (portrait or landscape), just select 'Auto rotate' option in settings wizard, and your documents will be automatically rotated to fit paper sheets. This option is located in 'Orientation' tab of the wizard. The batch print PDF auto rotate option is a life saver when your files have different foramtting. It's smart enough to processes each file individually and decide which orientation to choose. That is why don't hesitate to print all files by one command and be sure that they all will be printed properly. A big advantage of such printing is that you don't need to monitor the process; everything is done automatically. After this the selected printer will start printing your PDF documents. Auto rotate function also works if one PDF document contains both portrait and landscape pages. All they will be printed properly. Other useful settings include ability to specify printing quality level (high, medium, draft). Choose the one you prefer in terms of graphic quality and ink saving. 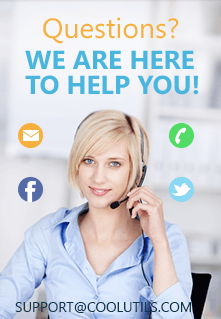 Total PDF Printer is available in a free trial version. This means you can test the auto rotate feature for free. 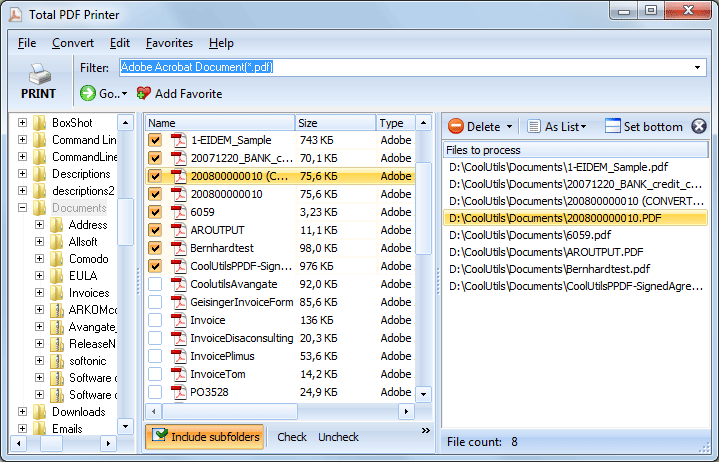 This utility will definitely become a good helper in printing PDF files. Here at Coolutils we take users' feedback very seriously. Many current options like adding a separator sheet for duplex printing odd paged files or auto-rotate option were implemented by users' requests. If you need smth special to make your batch printing job even easier, let us know. We will get back to you within 1 day.